I went long sugar today. I bought October sugar futures at a price of 20.17 at 11:02 on Thursday August the 16, 2012. Here is a screenshot showing my entry. 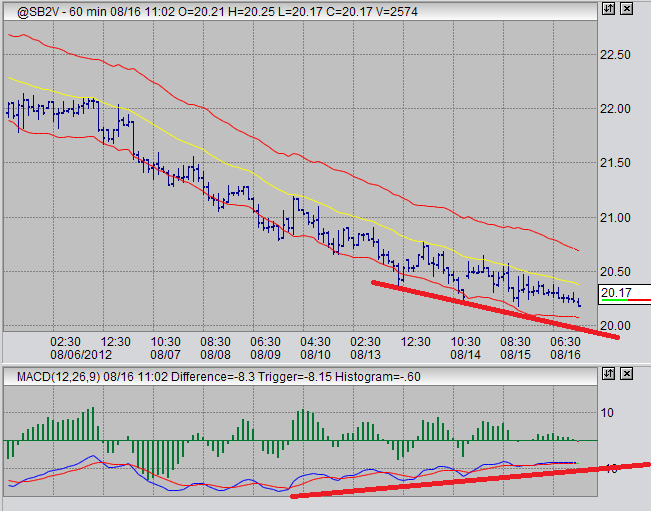 This shows a fairly strong MACD-price divergence. I chose to trade it, and I am using a loose stop. I am anticipating a short termed upward movement in price.